This is the story of a team whose spectacular fall from relevance was matched only by its subsequent rise from the ashes in the late 1980s and early 1990s. This is the story of how three former backups, a second-round talent, a booed draft pick and an unwanted star combined for one of the best turnarounds in NBA history. More than anything, this is the story of how a round-the-mill coach found renewed life and success in the desert -- and how he made those qualities synonymous with the Phoenix Suns. This is the Cotton Express. 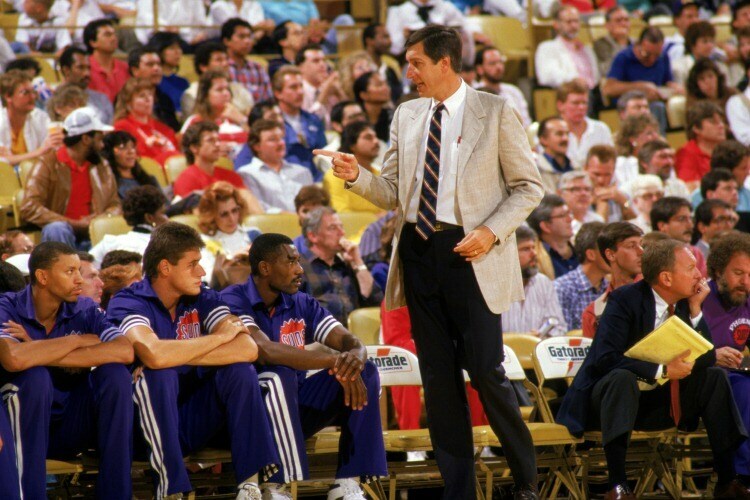 That was the identity of the Phoenix Suns in the mid-1980s. Once, they were defined by hard-earned respect following the expansion pains of the 1970s and multiple playoff appearances later that decade and well into the eighties. How far had the purple-and-orange fallen? At one point Jerry Colangelo sincerely feared the team would leave Phoenix. Professional sports attract spotlights, but this particular day saw that happen for all the wrong reasons. Three active Suns players - Jay Humphries, Grant Gondrezick and James Edwards - were indicted on drug related charges. To the public, it didn’t matter that they formed less than a quarter of the persons indicted (13 total). It didn’t matter that the investigation “focused on individuals and individual acts and not on the Phoenix Suns’ organization as a whole.” As far as most observers were concerned, the accusations had as much to do with the team as the players involved. To make matters worse, former Rookie of the Year and era-defining star Walter Davis had simultaneously admitted to needing help with drug rehabilitation, a relapse that broke the Suns’ collective heart and spirit. The news couldn’t fly across newswires fast enough. The Los Angeles Times, The New York Times and Sports Illustrated each dedicated significant real estate to the story, and then did so again in the years immediately after (though those took on a more positive light after the team’s eventual turnaround). Then-General Manager Jerry Colangelo recognized the scorching microscope under which his team and, specifically, the indicted players would suffer. Keep in mind that the indictments were announced on the eve of the final night of the 1986-87 season. Phoenix, at just 35-46, had already lost any hope of making the playoffs. Since helping bring an NBA franchise to Phoenix in 1968, Colangelo had dealt with his fair share of setbacks. Most of them, however, did not involve a courtroom. They were of the basketball variety. A lost coin flip in 1969 that would have netted Lew Alcindor (who later became Kareem Abdul Jabbar, the NBA’s all-time leading scorer and a six-time NBA champion). This was different. The shadows of these indictments would follow the players involved. 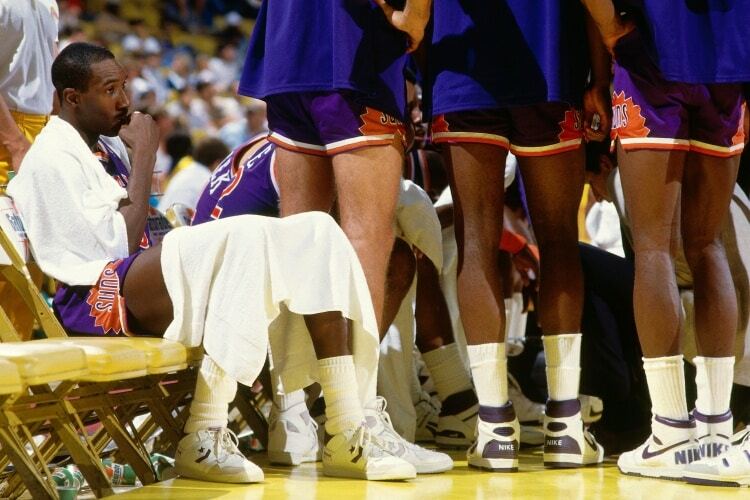 For now, that meant they would also overshadow the Suns franchise as long as those players remained in Phoenix. Yet while the investigation was ongoing, those players could hardly be traded. And what of Davis, the man Suns announcer Al McCoy would eventually crown “the best shooter to ever put on a Suns uniform”? He was a star, yes, but a nine-year veteran whose peak hadn’t produced a playoff appearance in two consecutive seasons, even alongside fellow standouts Larry Nance and Alvan Adams. No, this problem wasn’t going away, nor could the Suns trade it away in the offseason that was, for all intents and purposes, already here. In a video sent to season ticket holders, Colangelo pleaded with them to “hang in there with us.” Yet he knew his plea for fans’ patience needed to be met halfway with action on his own end. For now, however, it appeared he’d have to wait out the storm. Kenny Gattison sadly shakes his head when the name Nick Vanos comes up. The last time he saw him, the two had just returned from Pete Newell’s renowned big man camp, a fundamentals-oriented training camp for centers and forwards looking to improve their low post games during the offseason. Gattison and Vanos actually went to the airport together a few days later. Gattison was headed back to his family home in North Carolina. Vanos was bound for Detroit with his girlfriend. The 7-2 center was set to meet her parents after months of serious dating. It was a good time for Vanos, who was also experiencing success on the court. Once it had become apparent Phoenix would not make the playoffs, the team had set its younger players loose over the final stretch of the 1986-87 season. 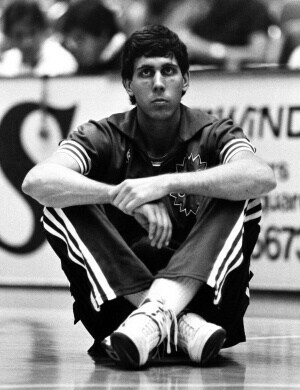 With Alvan Adams already into his 30s, it seemed the Suns had found their big man of the future. “He got a chance to play, more or less by default, at the end of last season, and played well enough to that he had a chance to be a big factor,” Colangelo said. Vanos boarded Northwest flight 255 in Detroit with his girlfriend. The plane was slated to arrive in Phoenix later that day. Several hours later and some 600 miles away, Gattison arrived in Wilmington, North Carolina. His mother immediately told him the Suns had tried to contact him several times before his arrival. He called back, wondering if he’d been traded after a relatively quiet rookie season. “Did you just get home?” they asked. “Yeah, I just got back to North Carolina,” Gattison replied. A couple seconds of silence. Then the voice on the other end. Of course Gattison hadn’t. He’d only just arrived. “His plane crashed,” the voice informed him. Flight 255 had crashed on takeoff. Vanos was among the 147 passengers who didn’t survive, a name tied to what had become the third-worst single-plane disaster in U.S. history. The story was heartbreaking to everyone who knew him, but perhaps most of all to the family of his girlfriend, Carolyn Cohen, who was also on the flight with Vanos. Her sister had seen the relationship grow between the two, and knew the tragedy had cut short something truly significant. For the Suns, it was another bitter reminder that events off the court can drastically alter the destiny of a franchise. What made Vanos’ passing particularly painful from a basketball sense was the progress he had made. 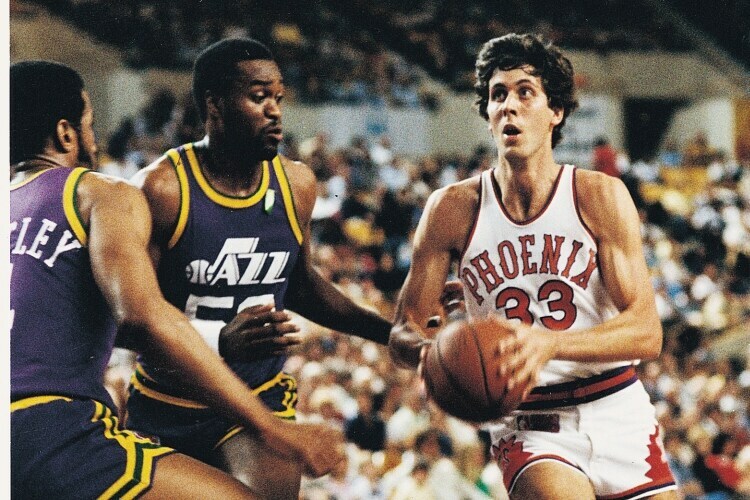 His on-court success and budding relationship with Carolyn had produced a rapidly growing confidence, one Phoenix did not see when they initially drafted him in 1985. Now, the Suns had yet another weight bowing their own collective head further toward the ground. In the final game of the season, the Suns suffered the wrath of Houston superstar Hakeem Olajuwon, who went off for 26 points, 18 rebounds and four blocks in the Rockets’ 127-119 win. The defeat was No. 54 for Phoenix, a number exceeded only by the franchise’s 16-66 expansion season of 1968-69. Walter Davis scored 21 points to lead the Suns, but the performance was the last under his current contract. He would enter the summer a free agent, and Phoenix would need to decide how much they would offer the troubled-but-talented veteran to return. The former No. 4 overall pick and 1975-76 Rookie of the Year had banged bodies bigger than his over the entirety of the previous 13 seasons. He had seen nearly everything and helped lead the Suns to nearly all levels of success: the All-Star game (1976), the NBA Finals (1976), a division title and a No. 1 seed in the West (1981) and an average of 50 wins per season. That success, however, was fast becoming bygone memory, submerged by the physical pain of pounding in the post and the mental drain of loss after loss after loss. "I remember we were 17-44 at one point and I thought, ‘I don't think we can even beat the (Los Angeles) Clippers or the Warriors at home anymore,'" Adams said. "I was thinking how miserable it would be to be mathematically eliminated from the playoffs with a month still left in the season." The “Oklahoma Kid” had defined the Suns for over a decade, but that definition was becoming outdated. He looked around and saw Davis -- his All-Star teammate of the late 70s and early 80s glory days -- subdued by recent events and now a free agent. He saw a group of younger players who, while talented, would seemingly experience more growing pains than win gains in the near future. More than anything, however, Adams saw himself. In the end, he had to be honest with what he saw - and what he felt. 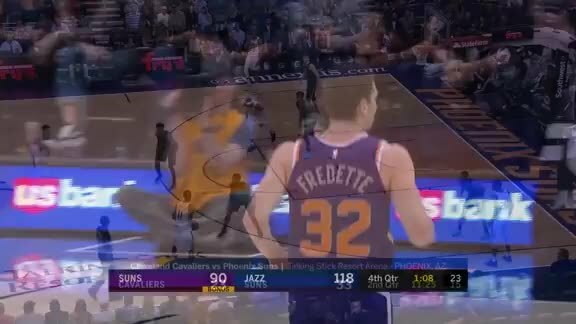 The Suns and their fans were shocked. True, Adams was no longer producing as in the days of yore, but he was still effective. More importantly, he seemed the perfect mentor for a team in desperate need of veteran leadership. Adams didn’t deny or even acknowledge the talent he still had in the tank. In a rare reversal of the modern-day athlete, it was the spirit that was no longer willing. He could not deny that and provide sincere leadership at the same time. "I just don't feel like preparing for another season," he said. “Mentally, there were a lot of factors. I felt it was time to stop playing a game I've been playing since I was a seventh-grader at Oklahoma City." In a strictly basketball sense, the announcement was crippling. Phoenix had just acquired fifth-year center Mark West, who had started all 29 late-season games (11.8 ppg, 8.3 rpg, 2.3 bpg in that span). It was clear that he was ready to step in as the Suns’ definitive big man. Behind West and without Adams, however, the center spot was woefully thin. Rookie Ron Moore had shown little in his brief stint in the Valley. Phoenix had just traded James Edwards following the previous year’s drug indictments. Jeff Cook was at the tail end of his career, as was power forward James Bailey. Yet all of that was secondary to the emotional loss the franchise would experience with Adams’ retirement. Just like that, the last link to the 1976 Finals and Phoenix’s contending days was gone. 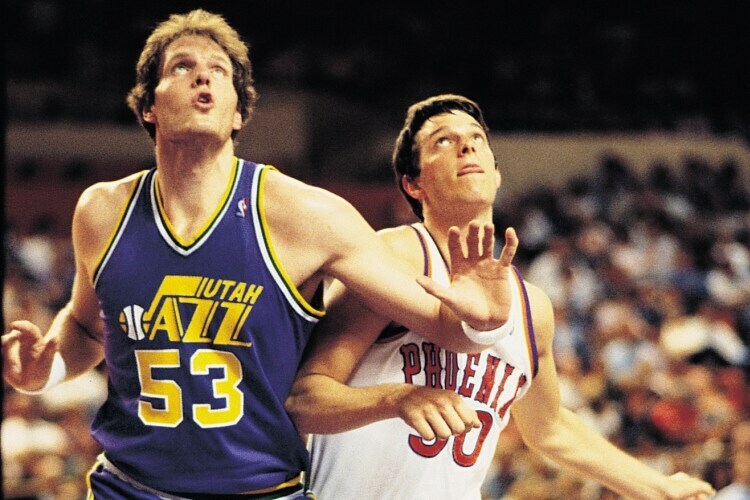 John Wetzel hadn’t been the Suns’ head coach for long. One year, in fact. Colangelo, however, saw the makeover his team was undergoing. They were getting younger, and Wetzel’s lone year of head coaching after years in an assistant’s role hadn’t shown as much promise as Phoenix had hoped for. With Adams gone, Davis’ return uncertain and a team full of early 20-somethings, Phoenix needed a new direction. That’s how Wetzel was released as the Suns’ third head coach in 15 months. It was a symbolic statement, because the Suns were in desperate need of respect. The previous year’s events had left the Suns at their lowest point in franchise history, for even an exhibition season is ripe with hope for the near future. Phoenix was at rock bottom, with one star retired, another a free agent, a roster only somewhat full of young, untested talent, and the shadows of a drug-tainted era hovering overhead.